"an excellent anthology … a lovely project"
Given that Canada has the longest coastline in the world and its motto is "From Sea unto Sea," it is not surprising that virtually every Canadian writer has been inspired to write about some aspect of the sea at some point in their work. As this book shows, those watery passages are some of the very best writing the nation has produced. Journeying coast to coast to coast, from the picturesque and isolated Vancouver Island village of Ucluelet, through the desolate Northwest Passage, to historic Signal Hill at the tip of Newfoundland's Avalon Peninsula, Spindrift: A Canadian Book of the Sea invites the reader on an evocative voyage. Reflecting on a myriad of sea-related themes--including the earliest Indigenous presence, the first nautical exploration of Canada, the arrival of immigrants on the nation's shores, the realities of making a living on the water, tragic marine events, warfare and celebrated vessels and people--Spindrift paints a compelling portrait of Canada. Editors Michael and Anita Hadley have distilled the essence from a vast collection of maritime reflection by some of Canada's greatest fiction and non-fiction writers including Milton Acorn, Pierre Berton, Earle Birney, M. Wylie Blanchet, Emily Carr, Donald Creighton, Michael Crummey, Barry Gough, Lawrence Hill, Edith Iglauer, Joy Kogawa, Malcolm Lowry, Linden MacIntyre, Yann Martel, L.M. Montgomery, Donna Morrissey, Farley Mowat, Alice Munro, Peter C. Newman, E.J. Pratt, Al Purdy, Nino Ricci, Stan Rogers, Jane Urquhart and Rudy Wiebe, to name but a few. 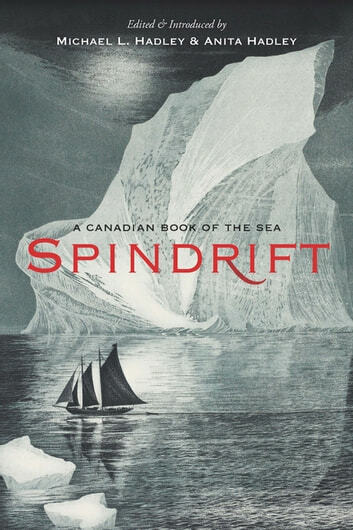 Whether yachtsman, professional seafarer, or simply an admirer of ocean vistas, the reader will be moved and delighted by this treasury of Canadian voices. Please note that, due to licensing concerns, selections in the ebook differ slightly from the print book.